The ultra low profile design of these brackets maintains a sleek linear aesthetic. 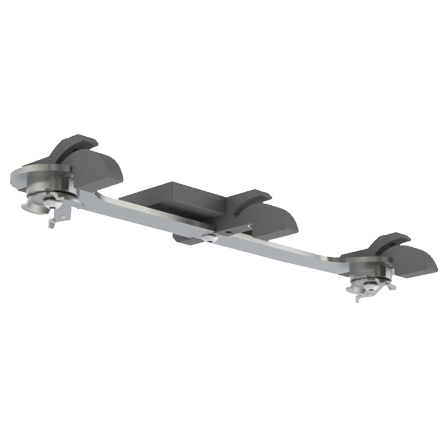 Flush Ceiling brackets form a useful alternative to face fixed brackets, where fixing areas are restricted or the pole is to be fixed as close to the ceiling as possible. This bracket is designed with the backplate orientated in line with the pole, for a sleek appearance. Back plates have multiple, slotted fixing points to simplify installation and clever magnetic cover plates give the design a pleasing and clean finish. Drop to top of pole: 3mm (1/8″).